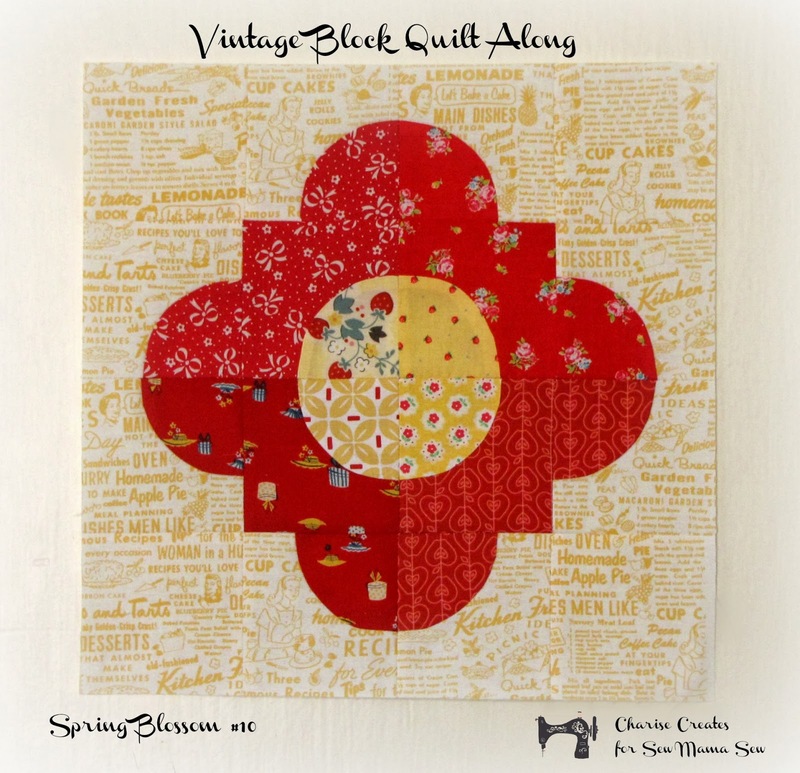 Charise Creates: Vintage Block Quilt Along ~ Spring Blossom #10 - Find me at Sew Mama Sew! 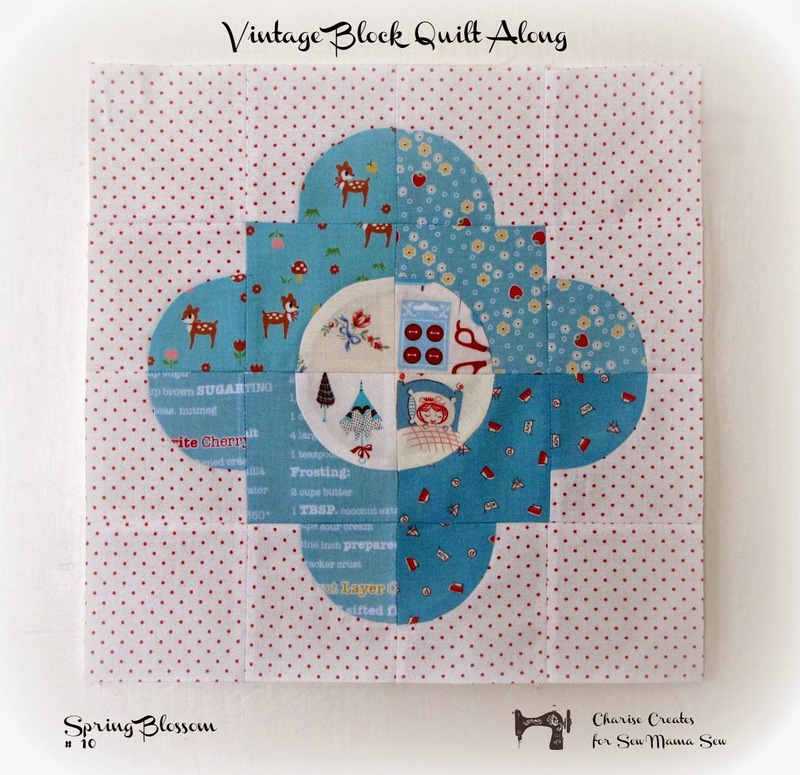 Vintage Block Quilt Along ~ Spring Blossom #10 - Find me at Sew Mama Sew! Happy Wednesday! I have finished block #10 in the Vintage Block Quilt Along - Spring Blossom. You can find the pattern and the tutorial at the Sew Mama Sew Blog! 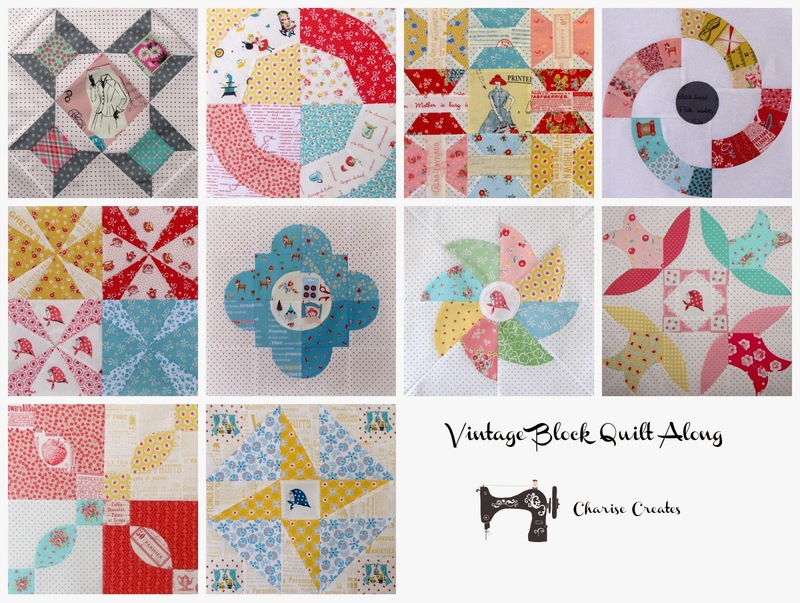 This block has been referred to as Jig Saw Puzzle, Nonesuch and Love Ring in various vintage quilting publications. that the center Flower is the star of the show. The block is made from 12 identical pieced squares with the addition of 4 corner squares..
Each individual square is 3 ½”. Curved piecing is involved in the construction of this block, but it is not difficult if you follow the tutorial! These are all the blocks so far. 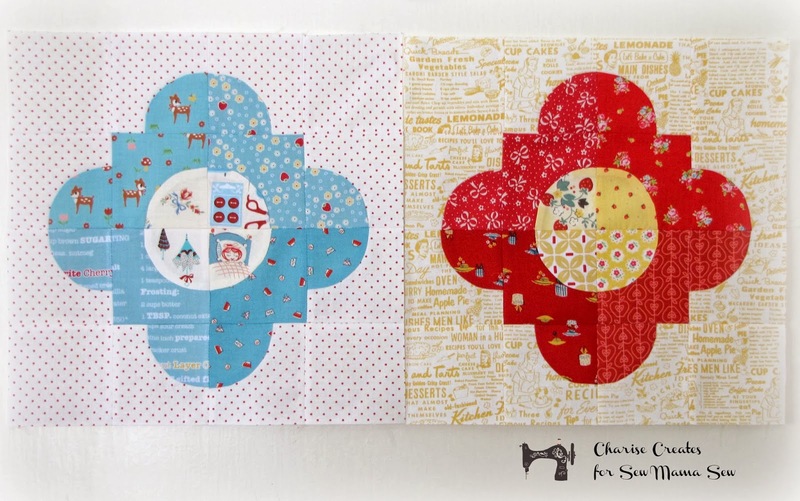 If you'd like to quilt along, you can find links to all the patterns and tutorials here. Thank you so much. it's totally gorgeous and I have the drunkards path die for my Accuquilt Baby Go. Oh great! Another block I want to make! !